Our 17-acre Burgess Family Orchard is owned and operated in Alpine, Utah. All fruit is sold at a roadside stand on the farm that is open from August to December. We grow six varieties of apples including Fuji, Golden Delicious, Jonagold, Gala, and Honeycrisp. 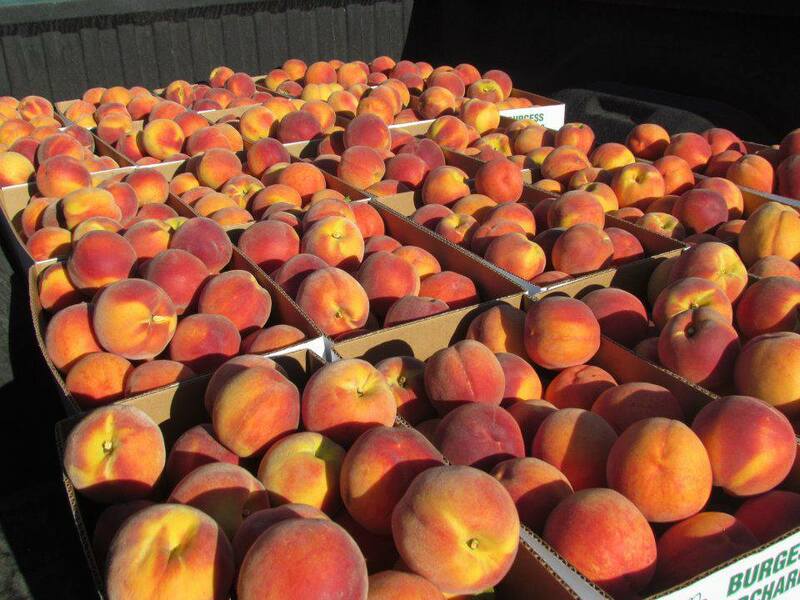 You’ll also find Red Haven, Roza, Suncrest, Early Elberta, Zee Lady, Diamond Princess, Summer Lady, Angelus, and O’Henry peaches. Be sure to take advantage of our new pre-order system and we will send you a confirmation to pick up your order when your favorite varieties become available. Like us on Facebook and follow us on Instagram to keep up-to-date on all the news. Love the friendly service, and excellent produce! My husband and I go through 2 boxes of peaches a week easily; they are that good! 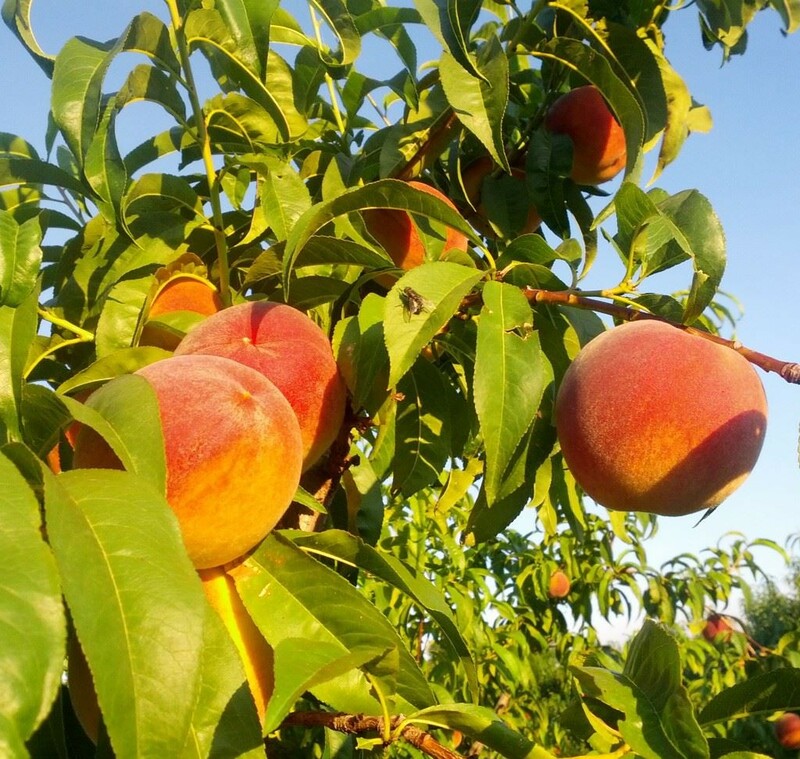 We look forward to the amazing peaches every year! 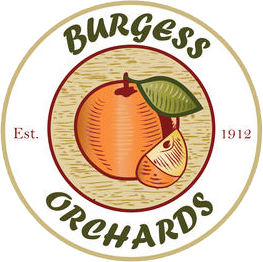 The history of Burgess Orchards goes back one hundred years. It began as a love story between two dedicated pioneers who were willing to sacrifice for their dreams. After moving from Nevada to Alpine, Utah, George Edward Burgess purchased a farm for $2,500. He later met Inez Thurza Clark. A romance blossomed and they were married in February. His wife loved apples and they soon planted a 10-acre orchard. It took several years for the trees to come into production, and with unpredictable weather, it was a struggle. However, after hard work and perseverance they were soon harvesting Red Delicious, Gravenstein, Rome Beauty, and Jonathan apples. Over time the orchards have grown. 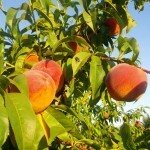 The farm now produces not only apples, but peaches as well. The Burgess Family has been growing fruit long enough to know how to produce the best tasting harvest. We are happy to provide quality tree-ripened fruit to our loyal customers. After one hundred years, the tradition continues. This entry was posted in Farms and tagged farm, orchard on May 17, 2017 .